Apparently Charlie just couldn't control himself when someone dangled a toy in front of baby Laura, so he took it and walked away. A few seconds later, baby Laura lets out a cry and Charlie seems to realize he's done something wrong. 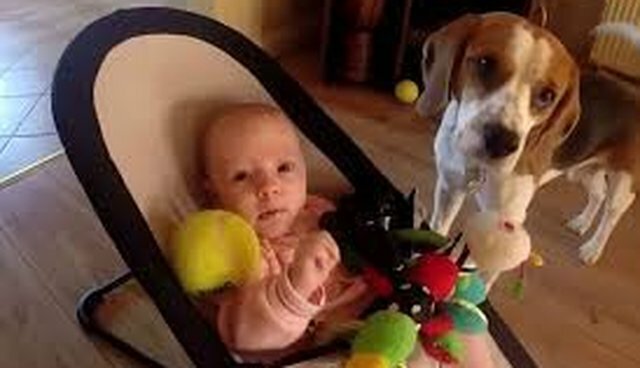 Charlie tries to make things right by bringing baby Laura as many gifts as he can find, including a tennis ball, a Playstation controller, and the toy he took in the first place.